United Nation Educational Scientific and Cultural Organisation (UNESCO) on Tuesday said it would deepen effort to prevent and reduce confusion created by unprofessional journalism via internet. 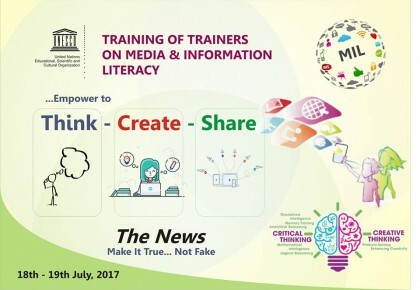 The UNESCO Regional Director, Abuja Office, Mr Yao Ydo, made this known at a two-day event of training of the trainers on Media and Information Literacy (MIL) in Abuja. The theme of the event is “ Think, Create, Share the News“. According to him, the evolution of internet has given room to the unprofessional journalism to thrive. He said that the internet had become a force for good or bad actions; adding that that was where MIL came in. “ Everyone with a small device sees himself as a journalist, willing to broadcast to the world as the first person to click the button. society actors, academia and private sectors in order to prevent mayhems via internet. “MIL can encourage the celebration of connectivity across cultures to counter radicalism and extremism by drawing attention to the need for all citizens to understand how as individuals in a given context make sense of their experiences. “MIL therefore is to equip citizens with competencies needed to seek and enjoy the full benefits of fundamental human right,“ he said. Ydo said that MIL programmes were essential to help youths better identify and reject extremist propaganda. 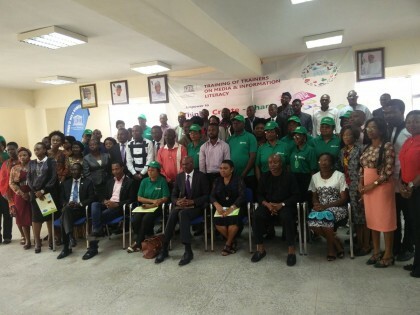 “UNESCO’s position is clear – the internet and new ICTs must be platforms for positive engagement, peace, promoting respect for human rights and dignity, enabling dialogue and mutual understanding,’’ he said. Contributing, Mrs Debora Malgwi of the National Film and Video Censor Board (NFVCB) said that MIL would empower citizens with essential knowledge about the functions of media and information systems in democratic societies. She said that MIL could become a powerful and positive force in promoting peace, democracy and development in the country. According to her, information largely determined capacity to enjoy fundamental freedom.